The home’s kitchen features dual Miele ovens, Thermador refrigerator and freezer, and Thermador induction cooktop. 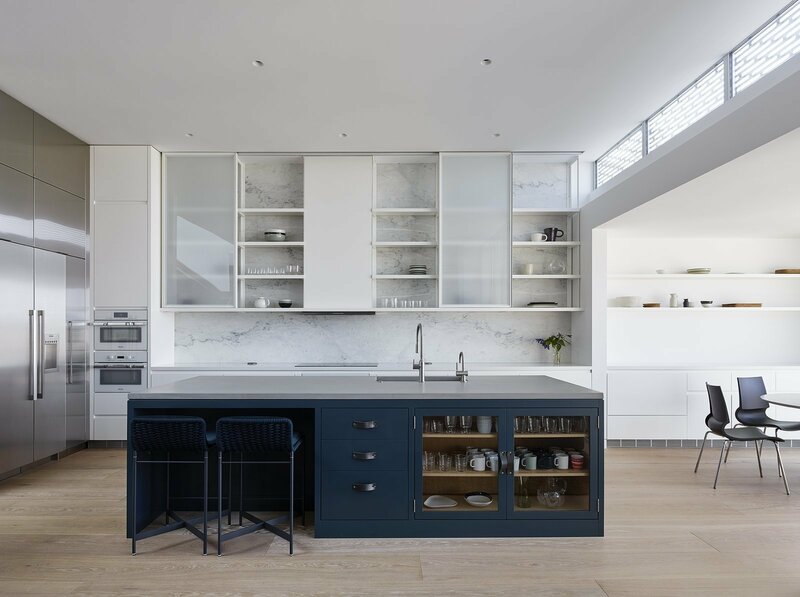 A feature wall clad in natural Carrara marble sits behind sliding cabinet uppers. Paola Lenti Heron counter stools in ‘verde scuro,’ coordinate with custom cabinet fronts, accented with Spinneybeck leather pulls.